Join us for this powerful week of playful exploration into the nature of who we are as men and women, masculine and feminine, strong and soft, active and passive. Expand your awareness of cultural and personal myths of the masculine & feminine so you can more consciously explore your own beautiful flow of these energies within. Cross the threshold into the sacred space of deepening relationship with your masculine and feminine selves as well as your relationship with others. Through the use of guided exercises, yoga, dance, journaling, art, paired sharing & group sharing, you can come to know yourself better, become more vibrant and alive in your body, and flow more easily between the multitude of masculine & feminine archetypes. 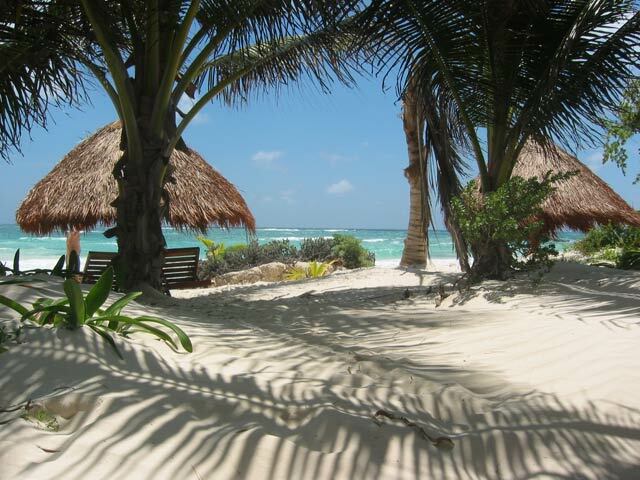 Each morning, we will practice yoga, meditate and breathe in the rich ocean air as we gaze out across powder white sand and turquoise blue sea of Maya Tulum. Our days will be filled with powerful experiential and embodiment exercises that will transform our lives as we allow ourselves to dive in fully! Our evenings will offer time for self-reflection as we process the insights of the day and integrate our experiences in a supportive community. Throughout the week, we will eat healthy, delicious food (mostly vegetarian) and we will sleep in lovely little cabanas by the sea. Participants must pay the driver of the vehicle directly. Please note that the driver accepts cash only. 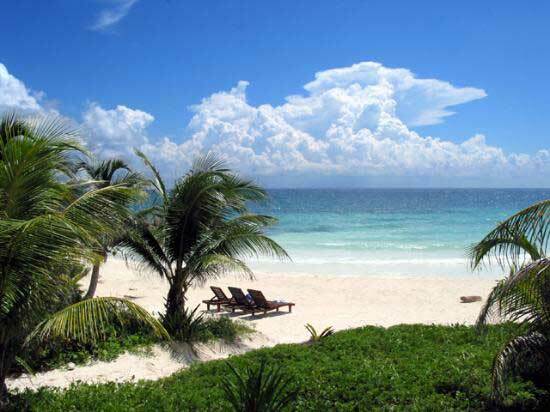 Maya Tulum Resort is a seaside Yucatan retreat, just 1-½ hours south of Cancun, which offers serenity, awe-inspiring scenery, and a connection with the Mayan past. The combination of nature, privacy, isolation, comfort, delicious food, and easy access from the USA and Europe make it the perfect place for an unforgettable workshop or yoga retreat. The crystal clear warm Caribbean Sea invites you to swim or snorkel at any time. Unspoiled white-sandy beaches extend for miles. Walk through the jungle to visit a cenote, explore the Sian Ka’an Biosphere, visit relics of great Maya cities, or simply relax on the beach to the ever-present rhythm of the waves. The climate is ideal, and the sun shines all year with cooling sea breezes and a glorious clear sky. 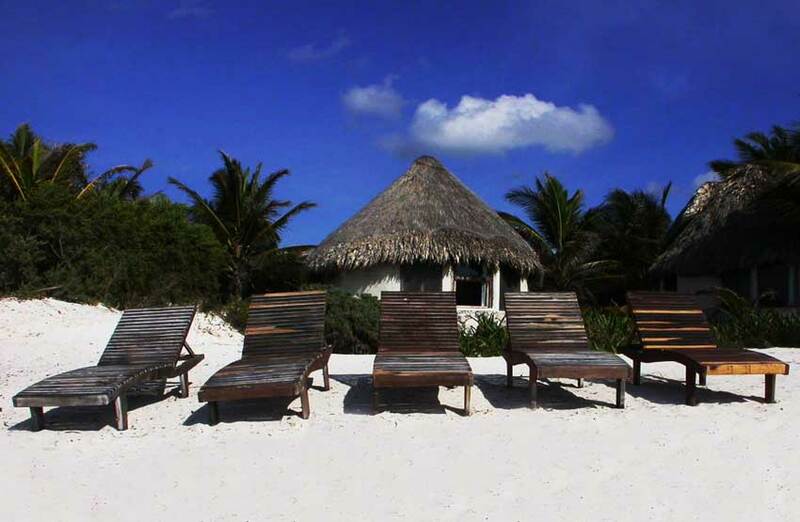 It’s always a good time to come to Maya Tulum. 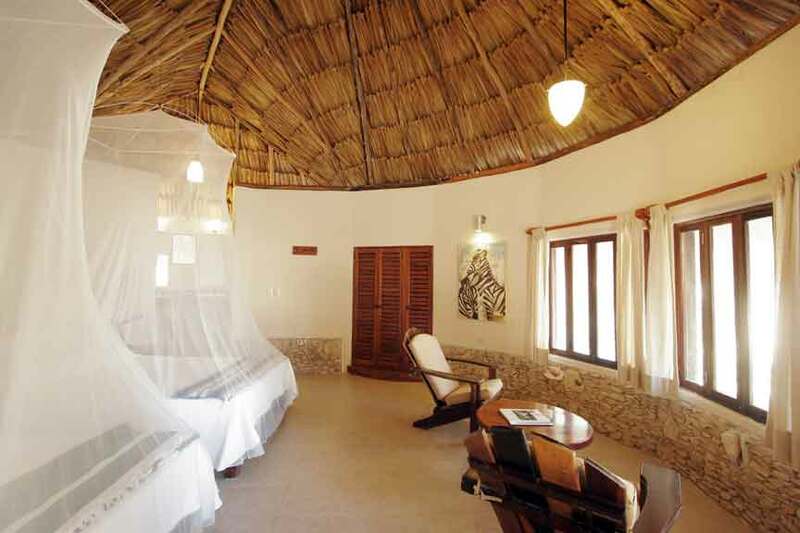 Guests sleep inside one of Maya Tulum’s simple, yet chic, thatched-roofed cabanas that looks as if they could have sprung naturally from the earth. Each cabana comes with a sitting area for relaxing, tiled bathroom with an open shower area, and a generous supply of fresh bottled water. 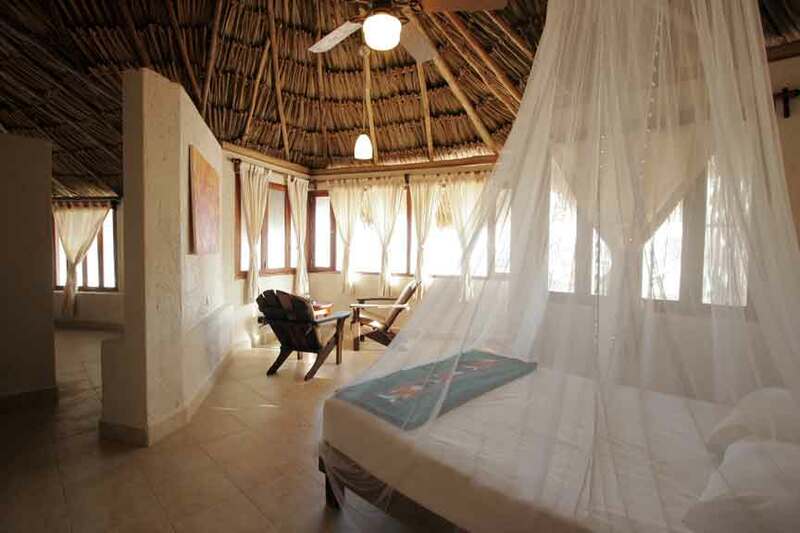 Maya Tulum Resort offers a choice of 3 types of rooms: garden, ocean-view, or beachfront. 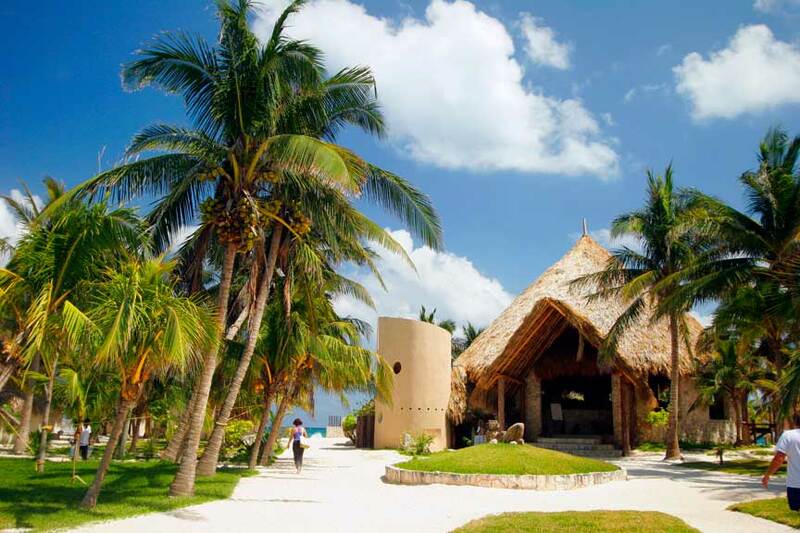 We celebrate each meal in an exquisite huge round cabana built with marble floors and white limestone walls. Through its windows you have a fantastic view of the coastline with the turquoise Caribbean Sea embracing the white sand. The restaurant is basically vegetarian and also serves fresh seafood, and at anytime of the day you may order from the bar your favorite drink or a smoothie. If you have any particular dietary requirements, we shall do our best to help you. Special care is taken in the preparation and cleaning of all fruits and vegetables to ensure the good health of our guests. Our spa experience combines Maya Tulum Resort’s reputation for attention to detail and indigenous treatments of the local environment. Whether for relaxation, healing or transformation, a massage or body treatment at our spa is truly a highlight of the Maya Tulum experience. If you have any questions about the retreat, please feel free to send an email to Valerie at Valerie.sher@sbcglobal.net. We look forward to sharing this rich journey with you!